Join the discussion on our forums! 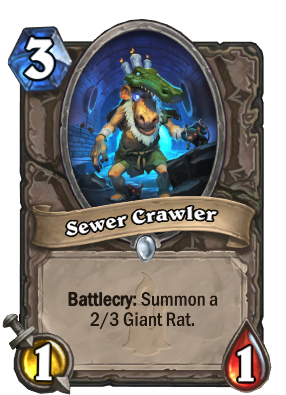 Come discuss Sewer Crawler over in our dedicated Sewer Crawler discussion topic. 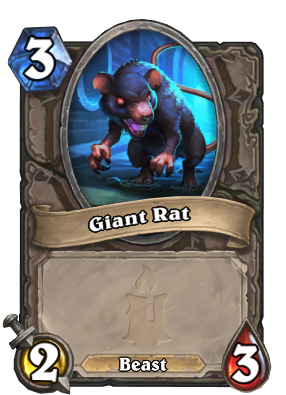 Battlecry: Summon a 2/3 Giant Rat. His clothing is "ratty" in more ways than one. Does anybody know if the Giant Rat has a beast tag? He means that it is debuff when you evolve 2 mana creature into a 3 mana and get this instead. and Devolve now is buffed. also basic totems are 1 mana. 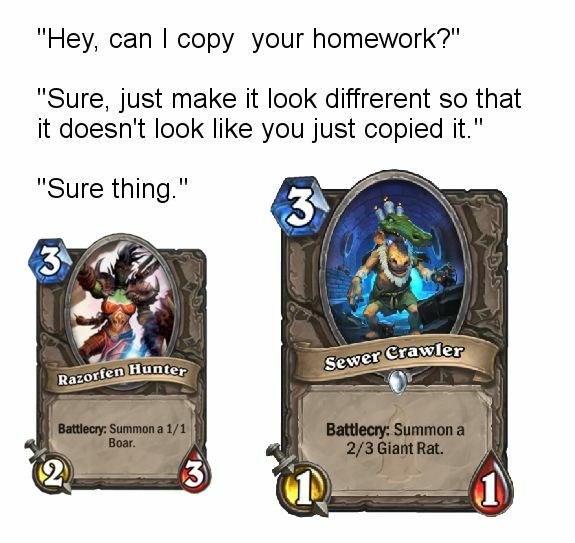 Blizz are really hating on evolve shaman this expansion aren't they? The only reason I can think of Blizzard printing this is for Hobgoblin wild decks and even then it's terrible, I guess it's a better pick in arena than Razorfen to play around Mirror Entity. The difference is the 2/3 is a beast instead of the 1/1.